Welcome Home! The Salt Water Pool is glistening, the free-standing Outdoor Kitchen is prime, and the Covered Patio w/Stone Fireplace is ready for Entertaining! 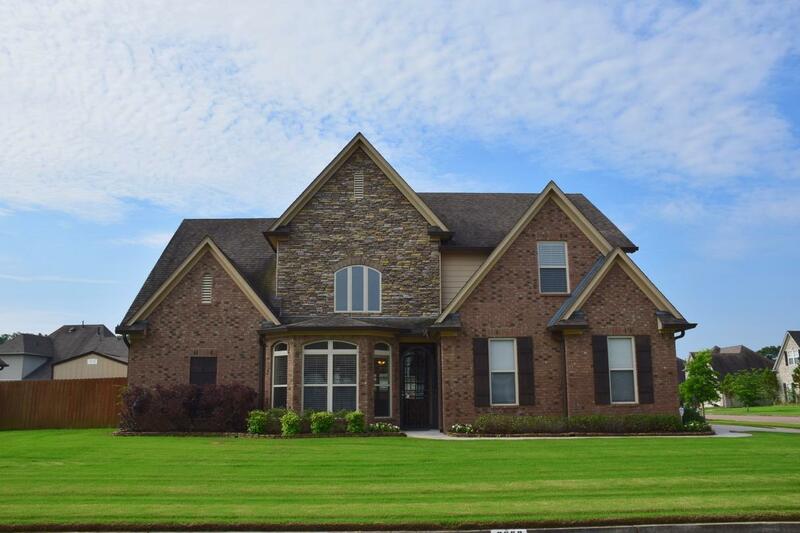 This Clark Custom Home is turn-key ready for you. Quiet secluded neighborhood, 4bdrm/3.5ba, granite counter tops, stainless steel appliances, 2 yr old red oak floors, 2 Master Suites, 2 jetted tubs, 2 pull-down attic spaces, 85-gal water heater, gorgeous well-manicured lawn, neighborhood camera security system, and NO CITY TAXES!